It’s nearly Thanksgiving, so it’s almost expected that I try more recipes using pumpkin. I think this weekend went much better than my trials last year (read about them here, here and here). 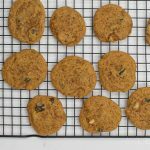 So much that these cookies, which were an experiment unto themselves, ended up being something my friend came back specifically for more of when she did the original taste test. She said, and I quote ‘these are so good’. If that’s not an endorsement, I don’t know what is! So these are a concoction of ingredients that seem to kind of work together. Pumpkin puree, peanut butter, cranberries, walnuts and oats. And no refined sugar. Bonus all round. And tasty, too. Everyone agrees, except for Abby … who doesn’t like cranberries, so I don’t think her vote counts. 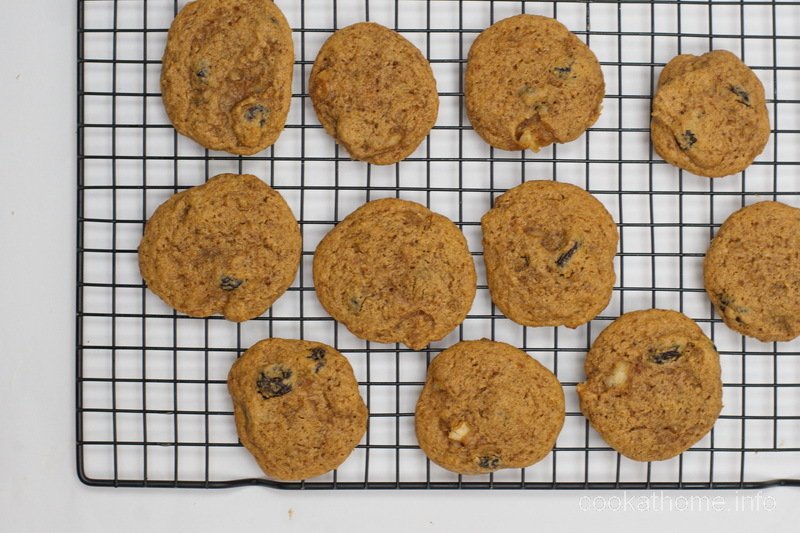 But you should try these walnut cranberry cookies. And let me know what you think. PS I realize the photo is kind of abstract – that’s what happens when you let your husband give you artistic photography advice! I like it – but would love to hear what you think! Preheat oven to 325F / 160C and line two cookie sheets with parchment paper. In a medium bowl, stir together the dry ingredients and set aside. In another medium bowl, stir together the wet ingredients. Fold in the walnuts and cranberries until throughout the batter. Shape into 1" balls and flatten them on the baking pan (they will not spread). Bake for 17 minutes. The cookies will still appear soft and they will not brown around the edges, but this makes them nice and chewy. Leave on baking tray to cool for 5 minutes before transferring to a cooling rack.